By now I’m sure everyone knows that Jane from Dear Author came out as author Jen Frederick. This revelation has caused, and will continue to cause a lot of pain, anger, and disappointment (to say the least). So I wanted to come clean about my role in it. A couple of years ago Jane emailed me to ask if I would help her with a secret project, when I said yes, she explained that she had written a New Adult book and asked if I would read it and told her my thoughts. I was happy for her, so I beta-read the book. After that, I also read the second book she wrote, Unspoken, and some chapters of books 3 and 4. I never had any issues with her writing a book, and I understood the reasons why she wanted to keep her identity secret. Jane made a lot of mistakes, though, some of them very serious and perhaps unforgivable, and in hindsight, keeping it a secret was one of them. There were things I didn’t know, other things that I wrongly assumed, and some implications that never even crossed my mind until yesterday. I went from surprise to see DA reviewers feeling blindsided by the announcement, to appalled when I read about the times the books appeared on DA, and felt even worse when I read about the authors loops on the Passive Voice letter. And today I’m heartbroken after seeing the effects this is having in people who trusted Jane and Jen and in people who, regardless of how they felt about Jane and DA, are seeing the community suffer so much damage. I’m sad and disappointed for the role I played in this and for not voicing my concerns. I don’t regret supporting a friend, and I believe Jane always had the best intentions, but intentions don’t take away the pain or make the deception less bad. I accept the consequences this will have for me, the blog, and my relationships with many people I like, admire and respect. And not only do I understand the criticism and anger, I think it’s entirely justified, and in many ways I share the feelings being expressed. I know this is probably a lousy apology/announcement, and you don’t have to believe or trust me, but I don’t want anyone to feel dismissed by what I’m saying here. I’m no longer Jane’s beta-reader, and I’m saddened by how many relationships have been damaged and for the breach of trust. I'm still sorting out my feelings and what this means for me. I don’t know who else knew. I made some assumptions that were proven wrong yesterday, but I always only discussed the books with Jane alone. I sincerely like the New Adult... whatever it is (genre, sub-genre, etc.). I have been critical when I thought the book(s) deserved it, and when I've praised a book it had nothing to do with Jane or her books. You can check all my NA reviews here if you're curious. I've also been talking about NA since before I knew Jane had written a book. I haven’t read the books Jane co-authored with Jessica Clare, in fact, I learned about them when I saw the first one on Goodreads. I also didn’t know about the Berkley deal until the publisher sent me its monthly ARC email. I say this because I’ve talked about how much I like Clare’s Games series, and I want to state as clearly as possible that those tweets and comments were motivated by my enthusiasm and nothing else. I’ve had a couple of interactions with Jessica Clare on Twitter (most of them were me asking her about new releases), but that’s as far as our relationship goes. I also never promoted or mentioned Jane’s books either here on the blog or in social media; I only mentioned the first one on twitter once during release day and I stated that I knew the author and that I had beta-read the book. I’m not an author (aspiring or secret); I have no issues with authors who also review; I used to review for Heroes & Hearbreakers, which is sponsored by McMillan, but I stopped because I didn’t have the time. I’ve always been honest in my reviews and online interactions. I don’t beta-read for anyone else, and I have no inside information on any other book by any other author. My relationships with the authors and other industry members I follow go as far as what you see on twitter. One last quick note: I won’t be online much until Sunday night, so I probably won’t have time to reply to comments until then, but I’m not ignoring anyone and you can always reach me through email. If this post seems rushed, is because I wanted to have it out in the open as soon as possible. I don’t know about you, but I always thought that January February March needed more “Best of” lists. I mean, why so greedy, December? Why do you hoard all the lists? Since I’m contrary like that (and didn’t have time to write this thing in December when I should have and then the months kept passing and it became The Beast to Be Defeated! GAH!!!) 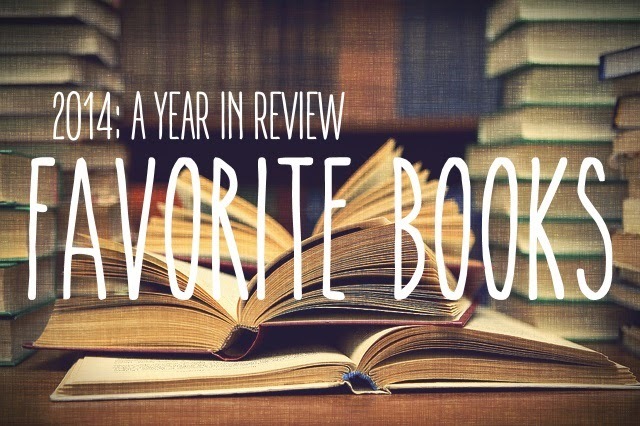 and because it’s never too late to annoy people with my choices, today I present you with my The Most Memorable List of Bestest Books that Ever Booked in 2014. It’s not going to be predictable or repetitive at all, so get ready to be blown away by so much awesomeness! On a more serious note I must say that I always have good reading years, so you won’t hear me complain about having a hard time finding good books or coming up with ten titles to put on the list, but this year my productivity was so lacking and my reading so scattered, that even now, after I’ve had time to think about what I read, what I loved and why, I can’t even find the energy to remember. So memorable is a good way to describe these books, because they were the ones that first came to mind when I was having a hard time mustering the enthusiasm to blog.